Mike has no more experience or credibility than the next guy when it comes to blogging about music. 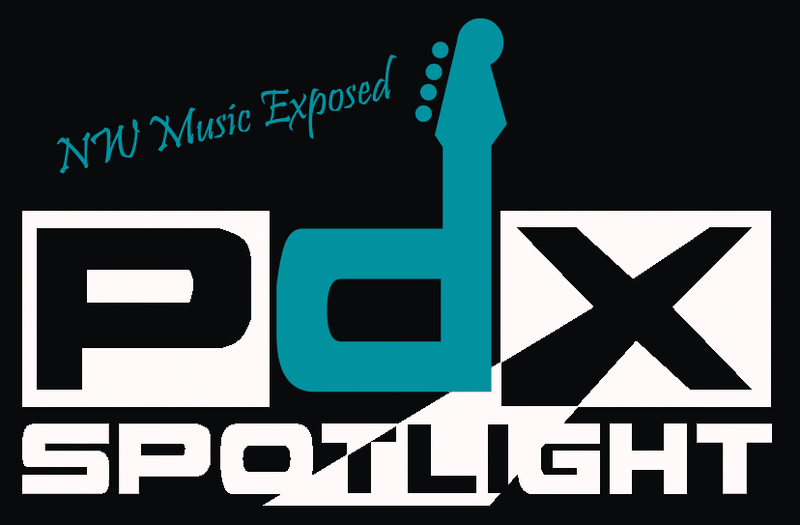 But as the founder of PDX Spotlight he does have a unique perspective on the local music scene and some of the people that keep it alive. He tends to blog about whatever is on his mind, some may be factual, some may be speculation and frankly some might cause a little controversy. But that's what blogging is about....right? 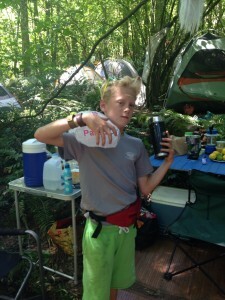 Pickathon is an unrivaled paradise. There is nothing like driving the fifteen minutes out of SE Portland to Pendarvis Farm and catching your first glimpse of the shade cover lattice and tapestry woven by Guildworks across the backs of Happy Valley hills. 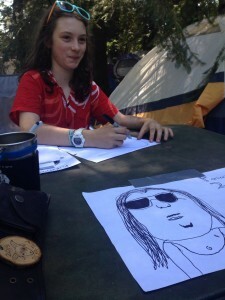 2015 was my seventh year of camping and carousing at Pickathon, and I always come away indelibly enchanted by the curation of artists, the attention to detail, and the pure sweetness of the entire event. If Pickathon, as its name suggests, is the cousin of the String Summit, it’s the globe trotting multi-linguist cousin, who has cultivated an exquisite and broad taste. Of all that Pickathon has to offer, it is remarkable that they are able to engender a fun and safe family atmosphere. 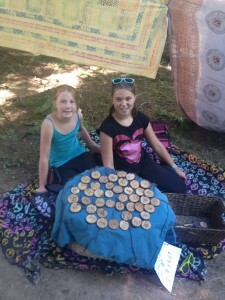 With a wealth of events and activities for kids ranging from Cascadia Circus Camp (where I began my Pickathon journey as a volunteer), performances designed for younger folks, and designated family camping areas make it easy for kids of all ages to roam, play, and grow. In many ways there is a full summer camp worth of activities in one weekend, and this atmosphere also lends itself to some stunning and creative young entrepreneurship. Shuffling down a grassy trail on a blazing Saturday, I stumbled upon a straw hat seemingly cast aside in the hay, and as I approached, it began to speak. “The Talking Hat will tell you your fortune,” it proclaimed in a decidedly childlike tone. 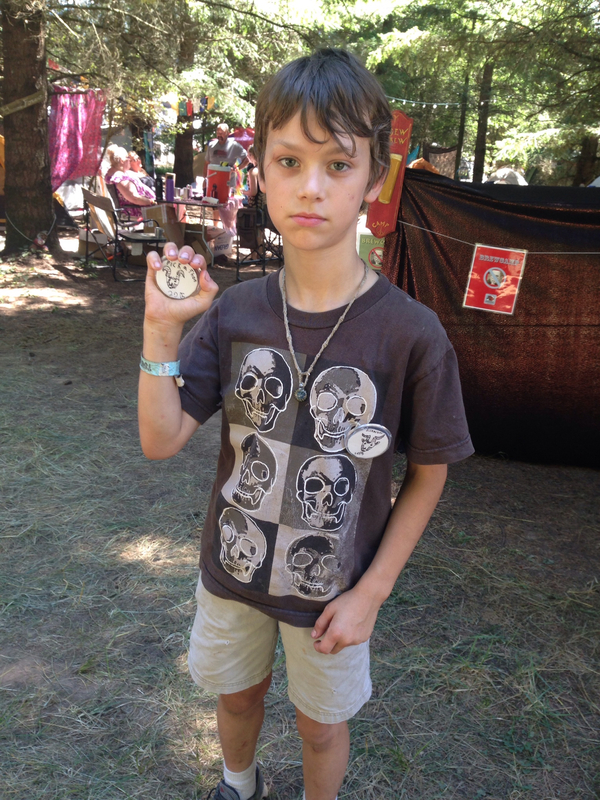 This is one of many ventures undertaken by Salvador Cerulean Sigstad, an 11-year-old veteran of Pickathon enterprises. “It’s really uncomfortable. There’s nothing but thorns under there,” he stated, referring to the ground beneath the hay he had covered himself in. The past two years he has moved on to other, less painful pursuits, and has gained a new title. “I call myself “Fire and Ice” because I take coffee and ice orders from people and deliver it to them.” he said. Business has been good enough that he hired help this year. Rowan is his first employee. “I said 30%, but he has made two mistakes and now he’s down to 10%,” said Sal. Sal also is trying his hand at “busking” with a new instrument, playing trumpet with Cahon accompaniment for passersby. He spends most of his earnings on steamers and pie, and this year could be heard whispering at tent flaps “Did you want coffee this morning?” as early as 6:30 AM. In transit to the next vendor on the row, I was regaled by the following spiel: “Let’s talk stats. An average leather wallet costs you about $50- $200 right? And it only lasts you what? Like six months? Because of water damage, you lose it… and it’s not even vegan! But take a ducktape wallet. It’s waterproof, vegan, and you can make it stick to your pocket. And today it only costs you $5.” This crisply-ironed sales pitch was delivered by Addie, a 15-year-old girl with a future in knife sales. Jasper the Bee Man, perhaps the most professional vendor of the bunch, sits with his sidekick and color commentator Ryan “Cool Fedora Man” among a collection of honeys and Propolis he and his father have collected from the many bee hives buzzing in their yard. “A couple of years ago a beehive came to my dad’s house,” he says, and the two have continued to build on their sweet empire ever since. “They joined BeeMart.” cracked Ryan with impeccable comic timing. 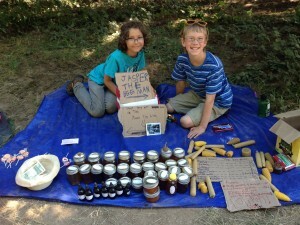 Jasper and his father not only ply their wares at Pickathon, but are regulars at Oregon Country Fair and String Summit, and they make some mighty floral and sweet stuff. All in all, these budding artists and businesspeople thoroughly add to the Elysium that is perhaps my favorite place on earth: Pickathon. Armed with early morning coffee, sweet honey, a cedar medallion, a goat pin, and cheeks that hurt from laughing and cheering, I anxiously await another year at Pendarvis Farm. This year’s kid favorites: Ex Hex, Wolf People, A Giant Dog, Meatbodies, and King Tuff. Note: Special thanks to Juliet Howard, who assisted with interviews and took the photos for this piece. Van Halen. Danzig. Santana. 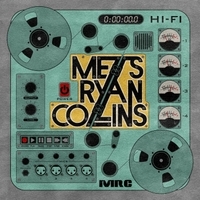 Simple and iconic flags flying the motto “Let the music speak for itself.” Metts Ryan & Collins are bold new standard bearers for this rare breed. With Geoff Metts leading the charge on vocals and guitars, Dain Ryan on the bass foundation, and Mike Collins as drum corps leader, the band is taking the fight to listeners with their gritty and vibrant brand of guitar rock. Drawing from their collective experience in Rock and Soul projects, the band chose a classic blue collar approach to their self-titled 2015 EP. Aiming for “one pass” or one take that captured the songs, they laid tracks down live on 2 inch tape and added minimal overdubs. After mixing to tape and pressing to vinyl, the resulting EP captures a decidedly raw and honest take on gritty and high energy material. The EP cover art is your first clue to this approach, depicting a hi-fi reel-to- reel tape machine. The single and the opening track, Oregon, sidles in with a country-blues slide guitar riff from Metts, which is quickly met with the steady thump of Ryan’s bass and Collin’s kick drum. Metts delivers the familiar narrative of a nomad in search of a place of acceptance, “making the way to Oregon. “ After a Steve Miller-esque soaring phaser guitar solo, the lyrics take a future perspective with Metts crooning ”Ten years or maybe ten days never did unpack.” Here the narration seems to diverge from the hopeful, starry-eyed seeker, ending with the inevitable measuring of a life spent in Oregon against those who remained. A plaintive return to solo slide guitar now seems nostalgic, leaving the listener feeling conflicted. Right On Track carries things ahead in a style that combines the rock blues of the The Rolling Stones with electric slide guitar solos reminiscent of Leonard Skynrd. The voice of Metts here resembles the best of AC/DC’s Brian Johnson as he proclaims a second credo for the band: “They say you can’t take it with you and can’t take it back. They say to enjoy it now and I’m right on track.” This anthem is sure to have listeners singing along and enjoying the moment. Closing things out with a southern rock groove, Nothing More I Can Do elucidates a hope for no regrets. Serving as a letter to an old lover, this song is also an apt moniker for the record. There was indeed nothing more the band could do to make a more consistently rocking EP. Are Tribute Bands Real Musicians? There’s an interesting little sub-culture here in Portland. Well, there are quite a few but I’m talking about cover bands, more specifically tribute bands. Bands that dedicate their craft to pay tribute to a specific band, usually from the 70’s or 80’s. They dress like them, learn to sing like them and (usually with the appropriate wig) often even look like them. I was amazed when I learned just how many of these bands there are here in Portland. Why do they do this? Are they just hacks that can’t think for themselves or are they talented musicians that just want to get out there and play? I was skeptical when I first went to see Appetite for Deception (Guns N Roses) and Shoot to Thrill (ACDC) at the Roseland Theater last year. First let me say that I’ve been to a LOT of shows around town but never have I seen a turnout for a bunch of relative unknowns as I did that night. This place was packed and I’ve since learned that most of these bands have a very solid following. Much of this can be attributed to J-Fell presents, a local promoter that books and promotes these guys very aggressively. J-Fell is also starting to get some very respectable original acts added to their roster. But my hunch is that they have a following because they can really play. That and many of us old timers really love those original bands and this is…..almost like seeing them live in an intimate setting. Here’s another thing. Remember how I mentioned that J-Fell is starting to get some respectable original acts (scroll up a few sentences if you missed it)? A lot of those bands feature the same people. Geoff Metts, Dain Ryan and Michael Collins from Ants in The Kitchen have formed a great new band called….wait for it…..Metts, Ryan and Collins. Remember the 80’s band Animotion (Obsession)? Lead guitarist & Stone in Love (Journey) front man Kevin Hahn, as well as Shoot to Thrill (ACDC) drummer Kevin Rankin play with them. The Bon Jovi tribute band Steelhorse includes Rankin on drums, Mark Thomas (Appetite for Deception), and The Loyal Order’s Jeff Buehner. The Loyal Order by the way also features Hahn on guitar and Ryan on bass. I know, confusing right? There are so many of these bands that I can’t keep track of them all. So back to my original question: Are these guys real musicians? Hell yes they are! My only question now is….where do they find the time?